The Capital Burger brings their A game to DC’s luxury burger scene starting with the decor. Located right next to the convention center, the restaurant has a rustic charm with wood colored floors, tables, and high ceilings. It is an inviting and cozy atmosphere which is perfect after a day in the vast convention center. 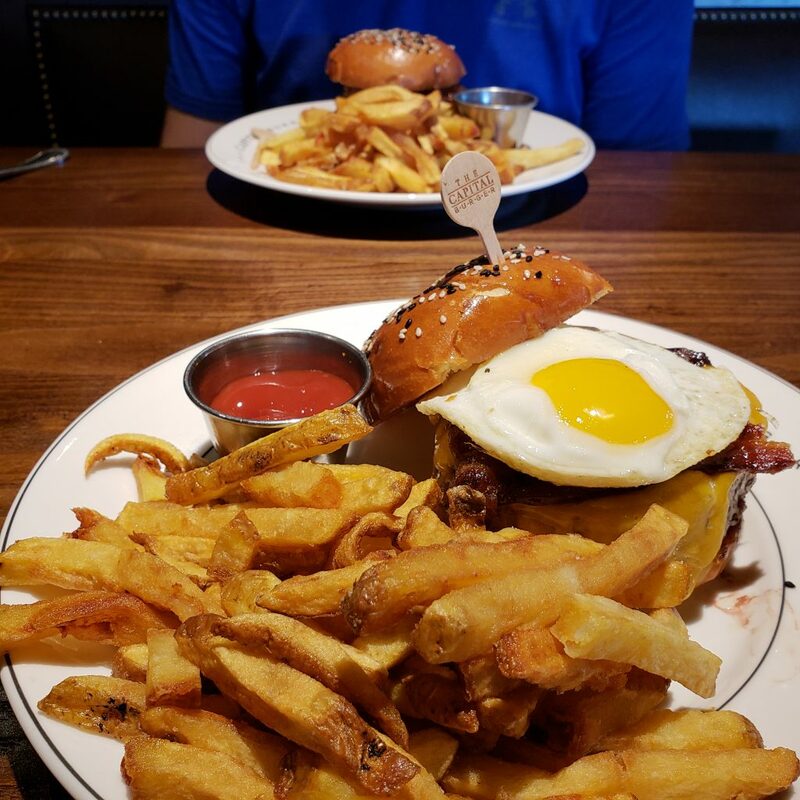 So when The Capital Burger invited us to try the food, we couldn’t wait! First things first, the meal begins with sweet little pickle slices – complementary. This sets a fun and carefree mood for an evening of burgers. These burgers are a little more expensive than some competitors (starting at $15). However, The Capital Burger does not skimp on the size or quality of the burger. Plus, happy hour runs 7 days a week from 3:00 to 6:30 pm and includes both drink and slider specials. I repeat, you can get happy hour specials here Saturday and Sunday! While the burgers are the main feature, the unsung hero of the menu is the crispy honey chicken sandwich. The honey immediately hits you but chicken compliments the dish so that you have the perfect amount of sweet and savory in one bite. You can also order slider crispy chicken during happy hour. For dessert, The Capital Burger is known for their milkshakes which you can also order spiked. 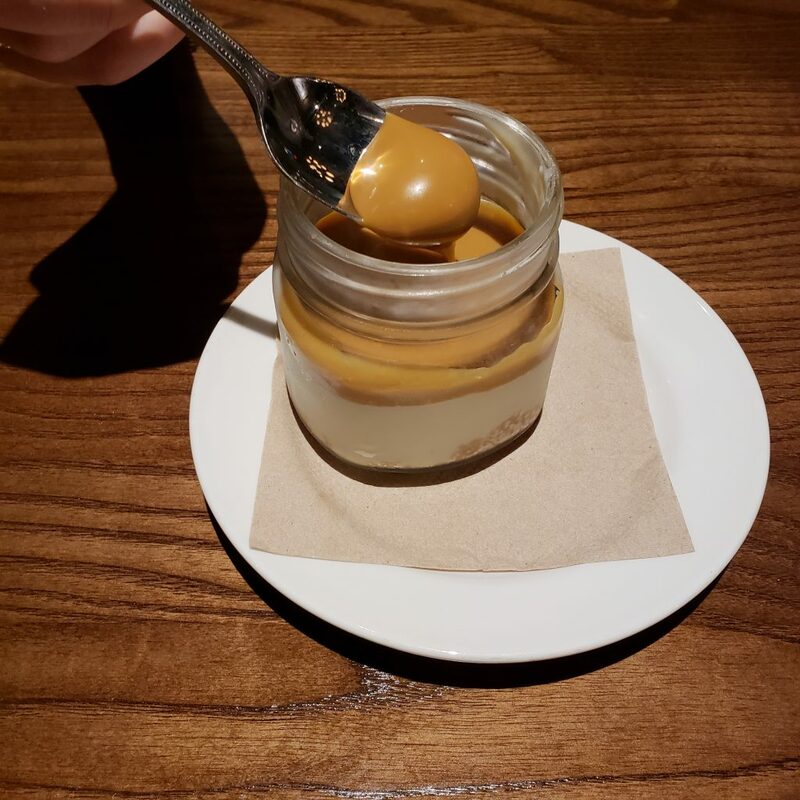 However, we opted for the adorable mason jar cheesecakes which come in three flavors: caramel, chocolate, and strawberry. Our favorite is the caramel which is perfectly soft and smooth on the cheesecake. 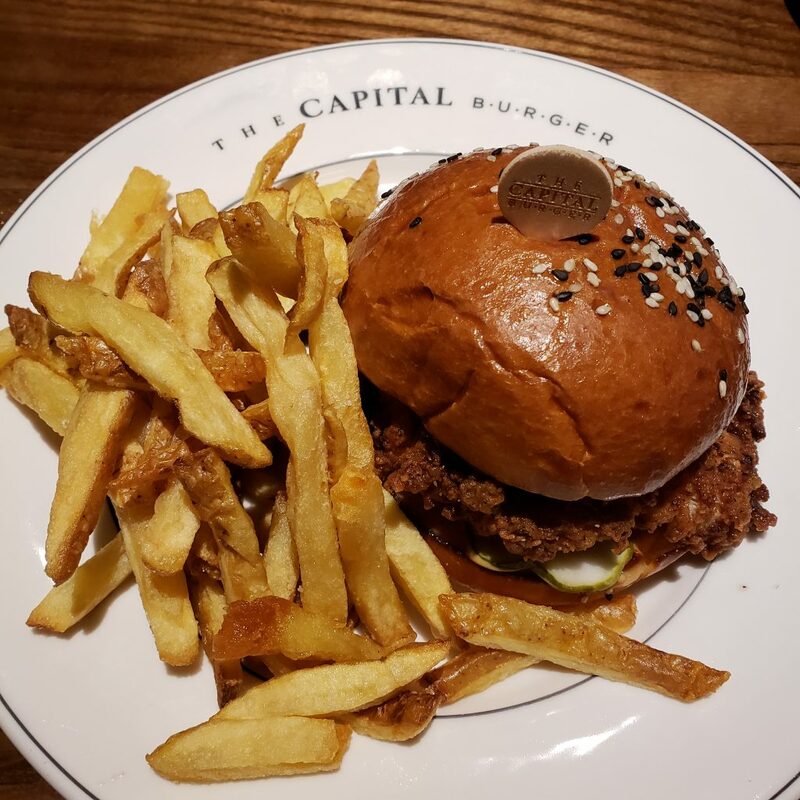 Keep up with The Capital Burger on Instagram: @thecapitalburger.